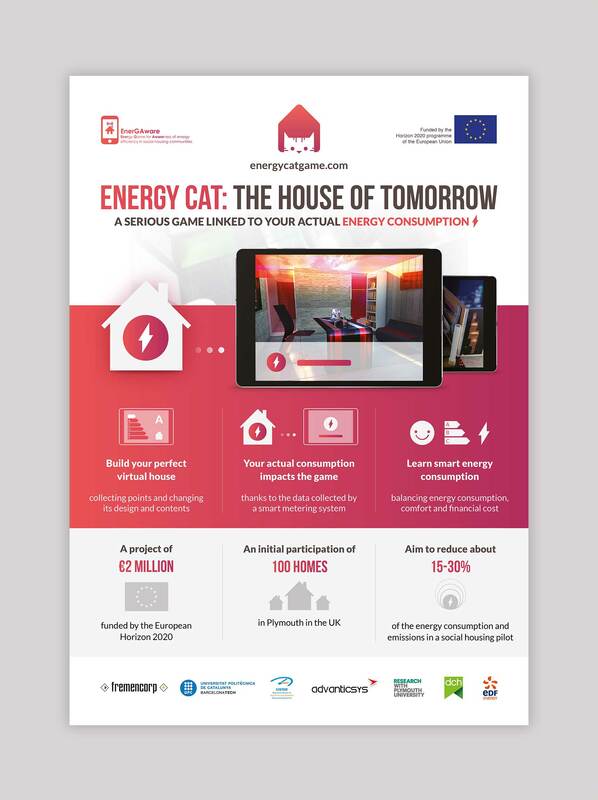 Energy Cat is a Serious game that intend to make people learn smart energy consumption, linking the game to the actual consumption of their house. An initial panel of 100 homes in Plymouth in the UK is currently participating. The prototype of this game has been presented during the digital festival 'Futur en Seine 2016’ in Paris.